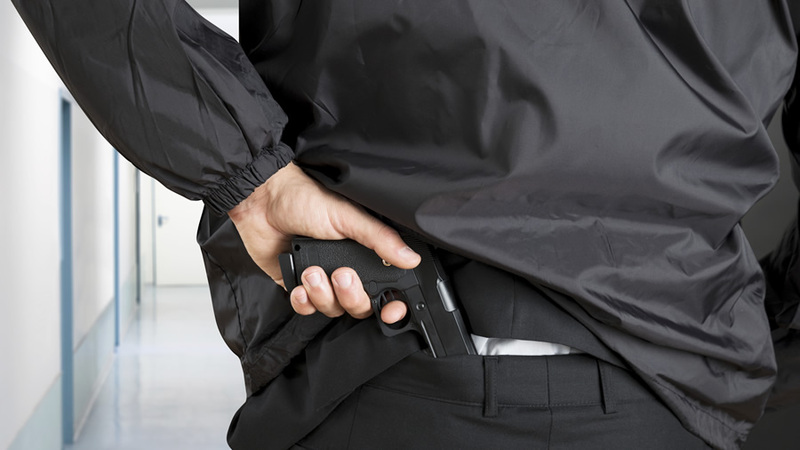 A man prevented another mass shooting on Sunday with his concealed carry license. On Sunday evening Jody Ray Thompson pulled out a gun at a South Carolina club and fired a few shots at innocent bystanders. Thompson pulled the trigger on his gun after getting in a fight with another person at the club, but the shots were not fired at that person. According to WISTV, Thompson injured three people but was stopped when the fourth person targeted pulled out a gun and struck Thompson in the leg. It was confirmed that the man who shot Thompson had a legal license for concealed carry, and as a result he will not be charged. Thompson will be charged with four accounts of attempted murder, unlawfully carrying a weapon and carrying a violent weapon while committing a crime. Bobo also confirmed that none of the victims’ injuries were life threatening. To be sure, the mainstream media will not report on this incident at all. Thank God for our Bill of Rights. He didn’t really prevent a mass shooting. He just shot the perpetrator earlier than he would’ve been. The fact that nobody died was not because of this concealed carrier, it was because Thompson didn’t happen to kill any of the people he shot. You cannot know that. You could say the same about the Islamic Terrorist in Orlando if he had been shot by someone after he got off only 3 rounds instead of after 300 rounds. This happens frequently in this country but rarely reported. I’m sure you’ve been to a gay nightclub or two in your time. Do you remember any of them carrying guns? It’s a different culture where people don’t usually conceal carry when trying to have a good time. As Ms. Martz and I have been trying to tell you, you just don’t know enough to say that no one would have died, whether there was a CCW present or not. And I have been to LGBT bars in NY and California. There are some folks I’ve met from both genders with whom I would not want to have a confrontation using fists or weapons. Some tough folks in any culture. You are still assuming way too much about life. Get out and live a little, son. These are YOUR suppositions. You cannot say what would have happened if he hadn’t been stopped. The shooter had already committed a “mass shooting” so one wasn’t prevented. The concealed carrier prevented more people from being shot, but did not, in fact, prevent the people from being shot in the first place.